The Earth’s global surface temperature in 2017 was the second warmest on record since 1880, according to the latest NASA data released today. According to scientists at NASA’s Goddard Institute for Space Studies (GISS), the 2017 figures are in line with the “long-term warming trend”. 2016 remains the warmest year on record, although this was influenced by a warming El Niño event in effect for most of 2015 and the first third of 2016, causing short-term variations in global average temperature. 2017 would have been the warmest year on record if the recent El Niño and La Niña events were statistically removed from the record according to NASA calculations from over 6,300 weather stations and devices based on land, sea and at Antarctic research stations. A separate analysis from scientists at the National Oceanic and Atmospheric Administration (NOAA) concluded that 2017 was the third-warmest year on record by their own set of calculations. Both analyses, however, are in strong agreement on the longer term warming trends, with both agencies indicating that the five warmest years on record all have occurred since 2010. The NOAA analysis found that a new temperature record was set on average every 13 years from 1880 to 1980. However, between 1981 and 2017, a new record has been set once every three years. 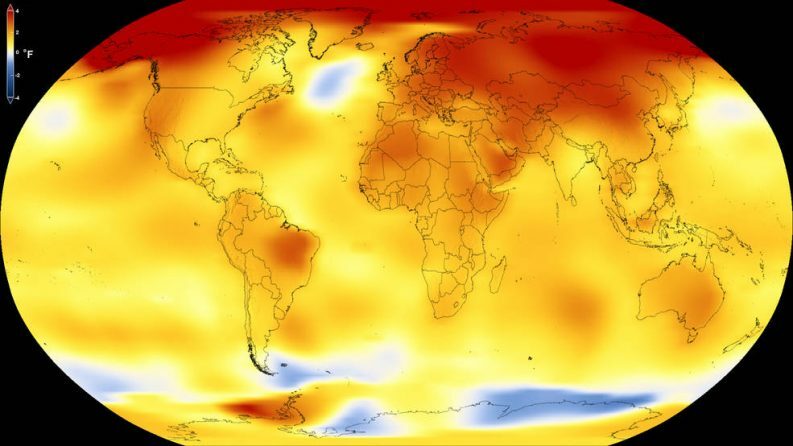 The planet’s average surface temperature has risen about 1 degree Celsius over the last century driven by increased carbon dioxide and other human-made emissions in our atmosphere. Since the start of the 21st century, the global temperature has been broken five times, including three years in a row from 2014 to 2016. Last November, the World Meteorological Organization (WMO) found that average global temperature between January and September 2017 was 1.1°C above pre-industrial levels. According to the National Adaptation Framework (NAF) launched today, temperatures in Ireland have risen by 0.8°C since 1900, while CO2 concentrations are higher than at any time over the last 400,000 years. The latest Irish data also points to increased rainfall, a rise in sea surface temperature, and significant increases in acidity levels in deep offshore waters around Ireland. 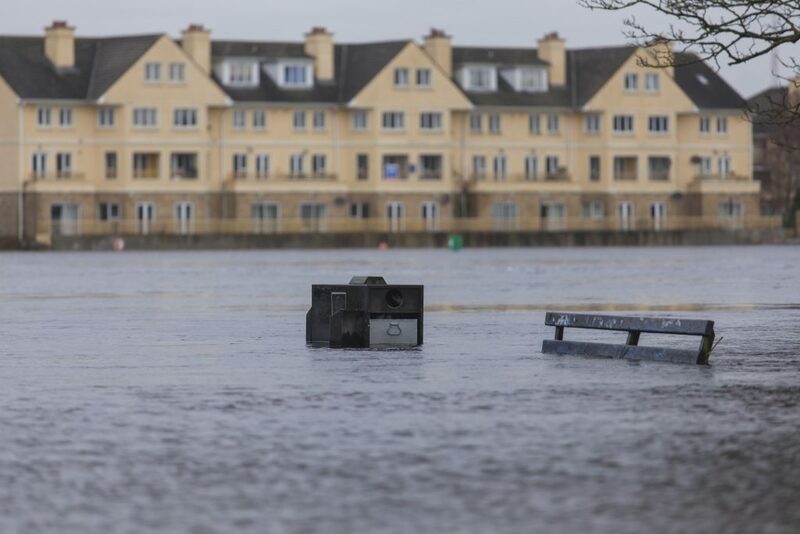 Looking ahead to 2050 and beyond, the NAF report indicates that Ireland will suffer from less frequent but more intense storms with an increased risk of damage, increased heavy rainfall events in autumn and winter, and sea level rise of up to 60cm by 2100. “Changes in mean sea level predicted will be the primary driver in magnifying the impacts of changing storm surge and wave patterns in coastal areas,” the report states.